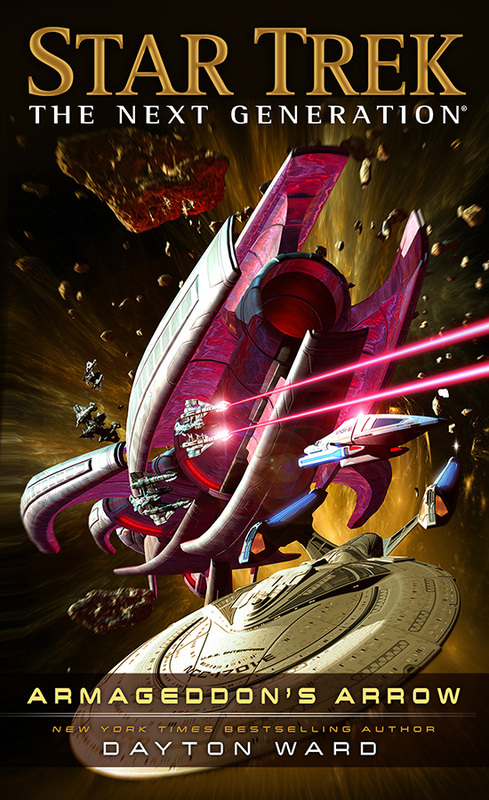 There have been several new covers for forthcoming Star Trek books released recently, plus some other bits of books news, which you'll find below. It is a new age of exploration, and the U.S.S. Enterprise is dispatched to “the Odyssean Pass,” a region charted only by unmanned probes and believed to contain numerous inhabited worlds. Approaching a star system with two such planets, Captain Jean-Luc Picard and his crew find a massive alien vessel, drifting in interstellar space for decades. Sensors detect life aboard the derelict—aliens held in suspended animation. Thought to be an immense sleeper ship, the vessel actually is a weapon capable of destroying entire worlds . . . the final gambit in a war that has raged for generations across the nearby system. Now caught in the middle of this conflict, Captain Picard attempts to mediate, as both sides want this doomsday weapon . . . which was sent from the future with the sole purpose of ending the interplanetary war before it even began! The ultimate gift book for Trekkies, featuring classic quotes and photos from fan-loved moments, tidbits of behind-the-scenes trivia, and personal recollections from the cast and crew of Star Trek The Original Series. 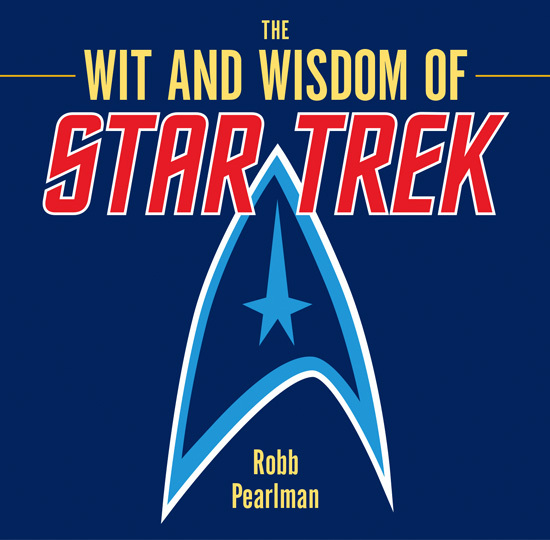 The Wit and Wisdom of Star Trek celebrates the enduring legacy of The Original Series, with full-color photos, notable production facts, evocative excerpts, and quotes directly from the cast and crew. From love and inclusion, to humor, to exploration, The Wit and Wisdom of Star Trek lives up to the mission of Star Trek itself: to inspire as well as entertain! Over in Germany, Cross Cult have posted their cover for David R. George III's first book in The Fall series, Revelation and Dust. 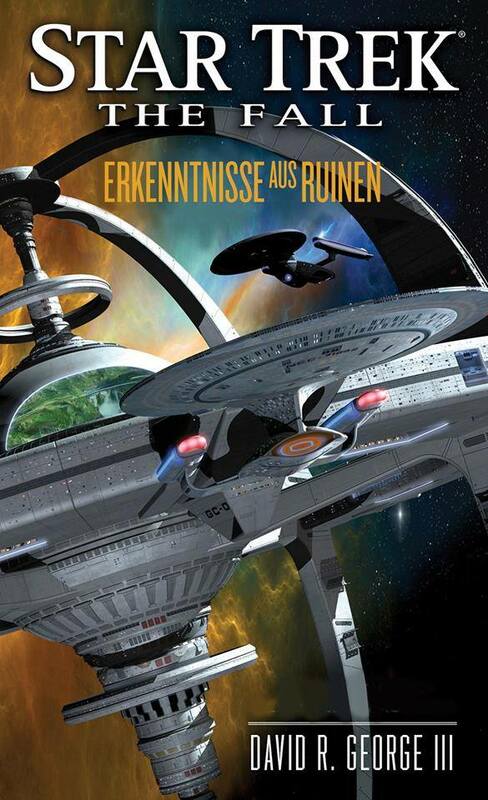 The German title will be Erkenntnisse aus Ruinen, and aside from that, the cover is the same as the US edition, whcih is another Doug Drexler design. This book will be released in September. Cross Cult have also recently announced they will be issuing printed omnibus books of the Corps of Engineers novellas, which they have been releasing as ebooks. The first of two omnibuses so far announced will be coming in November. Each book will collect four novellas, and feature new cover art. They will also be limited to single print run of two-thousand copies each. Thanks to Unreality SF's Jen Deffner for alerting me about these. #13: Niemals aufgeben! (No Surrender), by Jeff Mariotte - July 2015. #14: Gewährleistungsausschluss (Caveat Emptor), by Ian Edginton and Mike Collins - August 2015. #15: Vergangenes Leben (Past Life), by Robert Greenberger - October 2015. #17: Fundamente 1 (Foundations, Book One), by Dayton Ward and Kevin Dilmore - December 2015. #18: Fundamente 2 (Foundations, Book Two), by Dayton Ward and Kevin Dilmore - January 2016. #19: Fundamente 3 (Foundations, Book Three), by Dayton Ward and Kevin Dilmore - March 2016. Finally, there have been several author interviews recently, regarding the latest book releases. Check out Trek FM's Literary Treks and Visionary Treks' The Captain's Table to hear Una McCormack discuss her new DS9 novel, The Missing. And head to StarTrek.com for John Jackson Miller on his TNG/Aventine/Titan tale, Takedown. Alas both authors weren't able to confirm any more Star Trek books from them just yet.